This letter will help you cancel your purchase order easier. 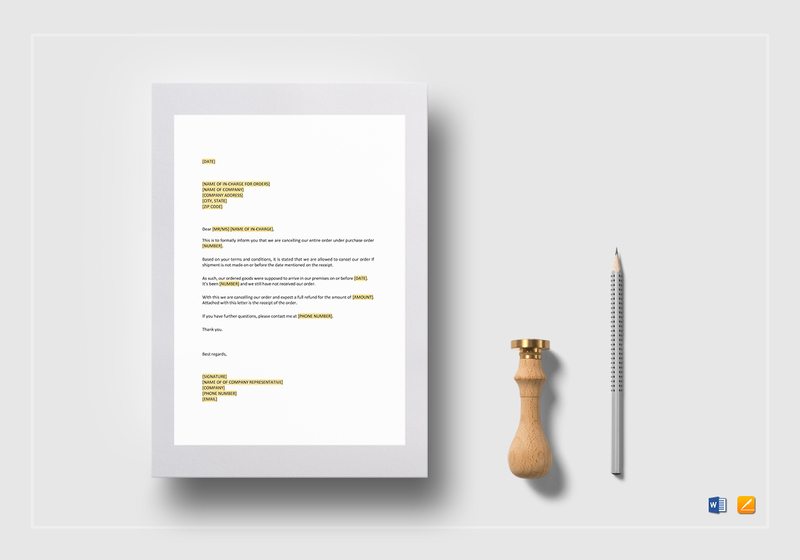 Simply gather all the data and download this highly customizable template. Edit the highlighted areas as you find necessary, then print or share online, depending on your preference. 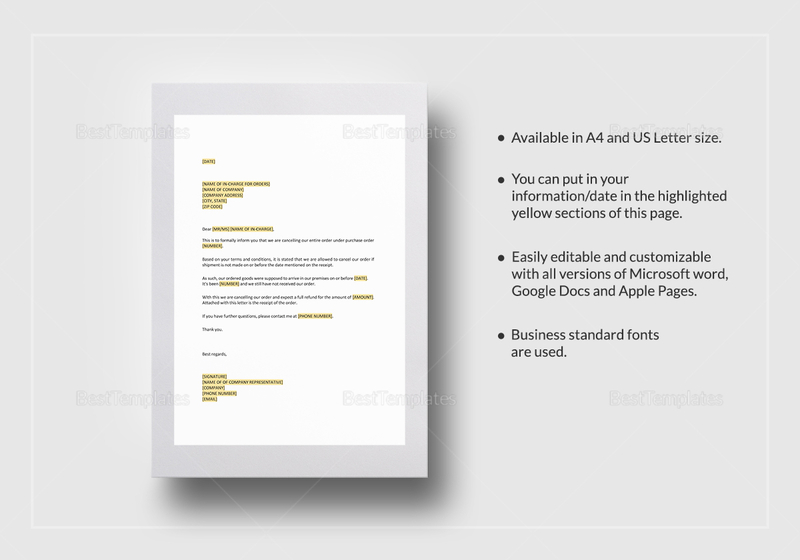 This template can also serve as a legal proof of cancellation, so you may want this in your template library indefinitely.